Have you ever heard of Napoleon Hill? He was an American author and one of the first people to write in the style that has become known as “self-help.” I became familiar with his writing a few years ago, and I get (near) daily emails with inspirational quotes. He really has quite a few smart things to say, so it is hard to pick just one quote. This may not be “the best,” but it sure is good. Most of us go through life as failures, because we are waiting for the “time to be right” to start doing something worthwhile. Do not wait. The time will never be “just right.” Start where you stand, and work with whatever tools you may have at your command, and better tools will be found as you go along. I can see how this applies to so many aspects of my life: work, money, education, … housework. And I often see how others apply this to their lives, especially their finances. 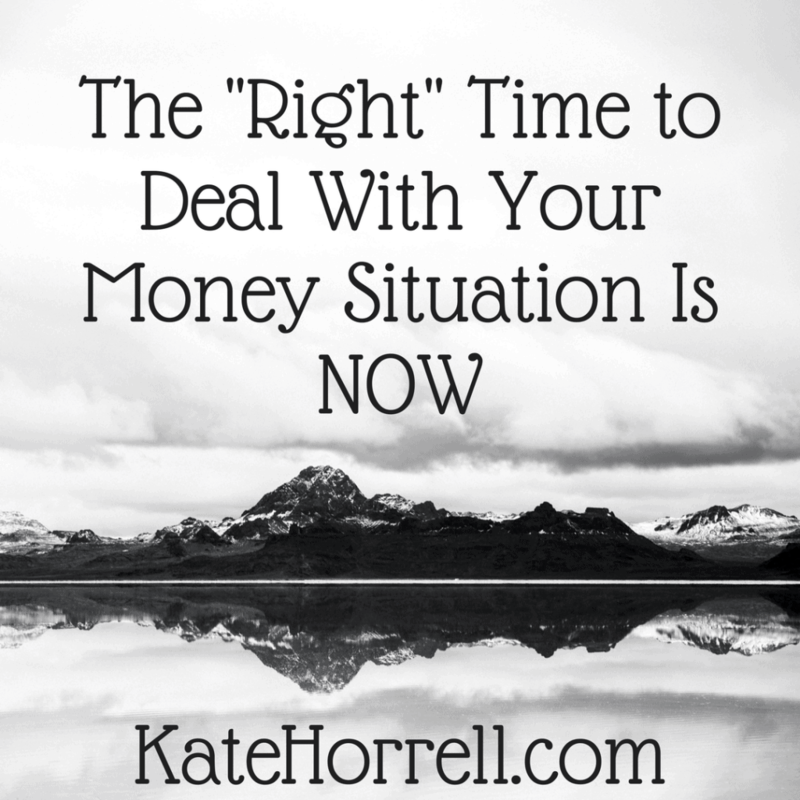 Have you ever said, “When I pay off some debt,” or, “when I get a raise?” Obviously, big changes in circumstances can help make big changes in your life. However, you can always start doing something small. It will have some effect, and it will set you up to do more in the future. As Mary Poppins said, “Well begun is half done.” Starting to do something is often the hardest part. I encourage you to think of one thing you want to do, then figure out a way to do just the teeniest, tiniest bit of it today. Put one pair of pants in the giveaway bag. Pack lunch one day this week. Call one credit card company to negotiate your interest rate. One small thing. Nothing great ever began any other way.